This was one of the last movies that I watched in 2014, but it’s one of the most fun. The final showdown in the Halloween dance is super stylish in a Drive-esque sort of way, but the film also has some lighthearted camp—I’m thinking of the scene in which the literally steamy Dan Stevens exits the shower donning only a towel. It knows exactly what it is and does it well. The film doesn’t try to shoehorn in any commentary about the military or PTSD, it’s just a fun romp definitely worth 99 minutes of your time. THEY ARE THE BEST! If you have heard anything about this little Swedish film it is most likely from critics telling you that it is one of the best film depictions of what it’s like to be a twelve-year-old girl and having best friends. They are totally right. The dynamics between the girls are spot on and it’s films like this that get us closer and closer to young girls seeing themselves depicted on film as young boys have been for decades. What this film may lack in narrative and dialogue it compensates for in costumes, production design, and photography. I saw the movie back in May and the scenes of Tom Hiddleston and Tilda Swinton intertwined are still some of the most hauntingly beautiful images I’ve seen all year. I can’t get them out of my head (and why would I want to?). More romantic comedies, please! This is the most delightfully refreshing rom-com I’ve seen since (500) Days of Summer. Although I’m a tremendous Harry Potter (book) fan, I’ve never really been a Daniel Radcliffe fan. But I love the chemistry between him and Zoe Kazan in this and there are whimsical and endearing puppetry scenes. Though I try not to be too “Hollywood is going to hell in a hand basket because of summer blockbusters” I do think that because we don’t see many midrange budget movies there aren’t as many sweet, earnest films like this and that makes me sad. Speaking of romantic movies. Can we just all agree now that Nicholas Sparks is getting a divorce so we no longer have to take dictation from him about what is romantic? And that other people can start making romance movies for grown-ups? Oh good. Because here comes Beyond the Lights to rescue us from ourselves. My husband saw this movie alone and then begged me for weeks to see it as well. I went reluctantly, but after the first 10 minutes I was won over. The film is able to deftly tell stories of the characters’ journey to first self-love and then love for each other while also subtly rejecting media’s traditional depiction of blacks in America. I was moved to tears more that once, which considering I have a heart of stone is saying something. The music is amazing. The story is amazing. WATCH THIS MOVIE!! It may be surprising to some, but this film was one of the most spiritual experiences I had all year. An atheist took one of our foundational myths, looked deeply at the character, added elements of fantasy courtesy of some huge rock monsters, and somehow found the humanity in it all. The film really looks at what it would be like to be one of the few survivors of a horrible disaster. To ask what it really means to receive guidance from God, discern what that means, and act in faith. 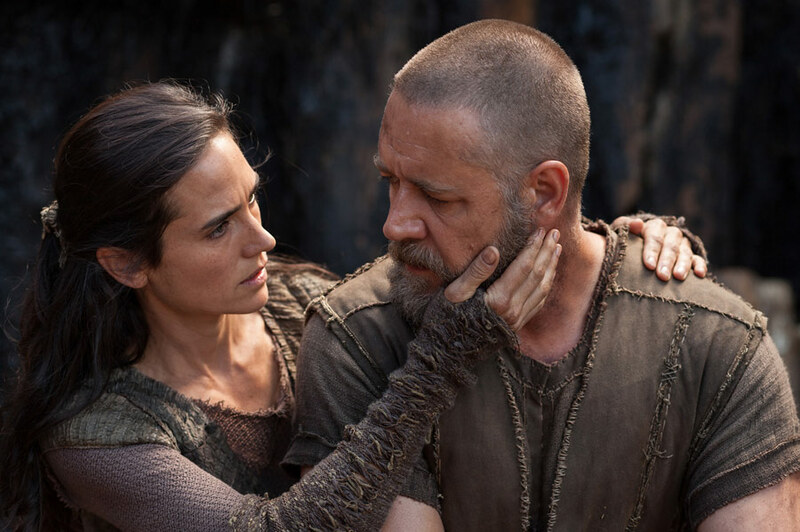 The makers of this film really took to heart that the foundational stories our culture tells have a great effect on that culture, and that something doesn’t have to contain historical accuracy to contain truth. This movie is beautiful and surreal and weird and just really hard to explain. Simply saying that it’s about an alien young women (ScarJo) driving around Scotland picking up guys barely scratches the surface. I will say that it has the most unsettling scene I saw at the movies this year. So there’s that. A Swedish family of four is skiing in the French Alps, there is an avalanche, the mother protects the children, the father runs for his life, abandoning his family in the process. The incident turns out to be a false alarm and the family is left to reconcile the awkward circumstances. The film is a funny and uncomfortable exploration of what society expects of men and ultimately I think doesn’t condemn cowardliness, but instead the patriarchs unwillingness to admit fault. It’s fascinating and now available to stream on Amazon and iTunes, so check it out! I’ve seen this on a lot of top tens this year, but that’s because it’s really great. 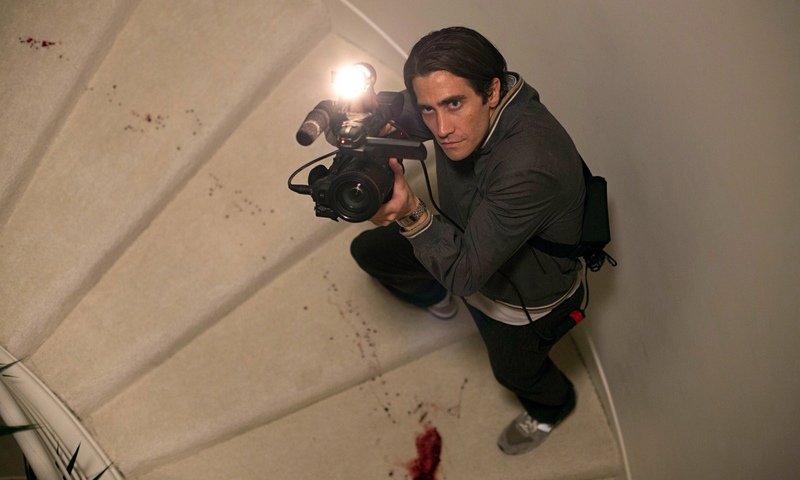 Jake Gyllenhal’s performance as the determined, meticulous, and totally creepy Lou Bloom is excellent and although some are praising the film as biting criticism against our addiction to bloody and dangerous news (which admittedly it is) I think the film is an even deeper attack on our capitalist culture. Lou doesn’t chase ambulances to feed his bloodlust, but sees it as his only avenue to wealth and respect. It’s a bleak, poignant, and masterful look at America’s current state of affairs. 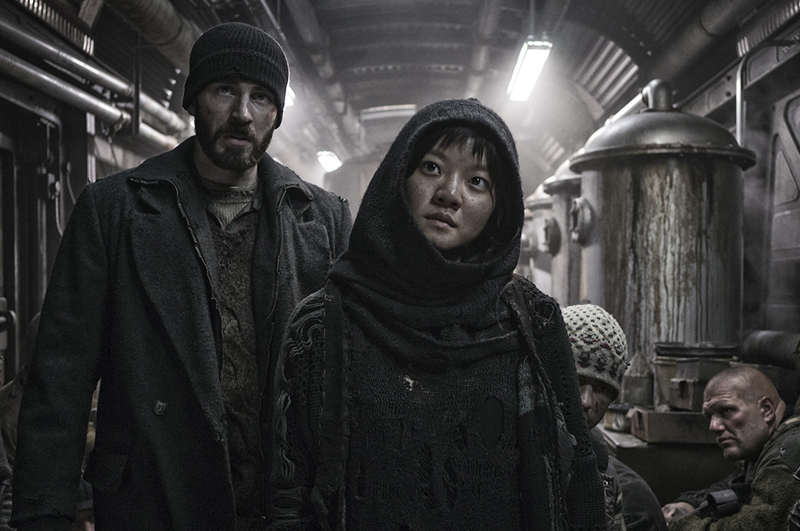 Snowpiercer is a strange beast. All things considered, it’s a lower budget Sci-Fi film with a story structured like the modern blockbuster that also succeeds as an allegory. As someone who recently graduated with a degree in Literary Studies, I’m a huge sucker for allegory. Add in a few fun fight scenes, beautifully composed shots throughout, and a speech that will make you see Captain America in a whole new light and you’ve got a hell of a film. It’s an easy ride and yet the ending lingers, challenging the audience to decide if the system can be fixed or if it needs to be destroyed. It’s streaming on Netflix so if you haven’t yet then go watch it now! The plot of Skeleton Twins—two estranged, depressed, and disenchanted siblings are reunited and things don’t go smoothly—isn’t new to the indie/art house scene but Bill Hader and Kristen Wiig’s performances and chemistry is just the extra dose of magic this story needs to transcend something that may have otherwise been another indie film with lots of talking in rooms. The laughing gas sequence made me laugh out loud more than any other scene I saw this year and every time I watch Wiig finally join Hader’s lip sync of “Nothing’s Gonna Stop Us Now” my heart almost bursts with joy. Me and the world have had a real hard time this year. So many things have made me feel the world is plunging deeper into darkness. 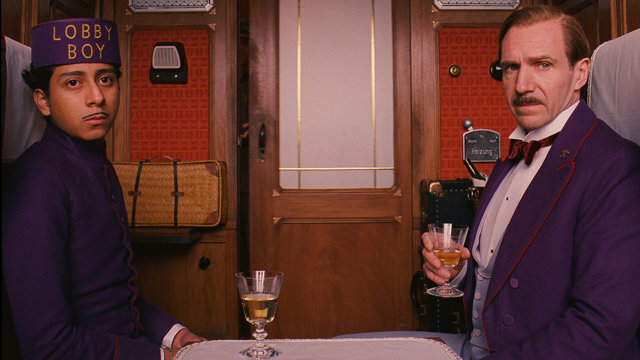 The Grand Budapest Hotel reminds us that to love the precious, perfect, and beautiful while hatred and viciousness is swirling around us is okay, and that finding that beauty is not only okay, but necessary. I don’t have a lot of experience with Von Trier. In fact, the only other film of his I’ve seen is Dogville, a film that I endured but I wasn’t sure was worth the run time until the final scene. Nymphomaniac, on the other hand, was entrancing from the first frame to the last. 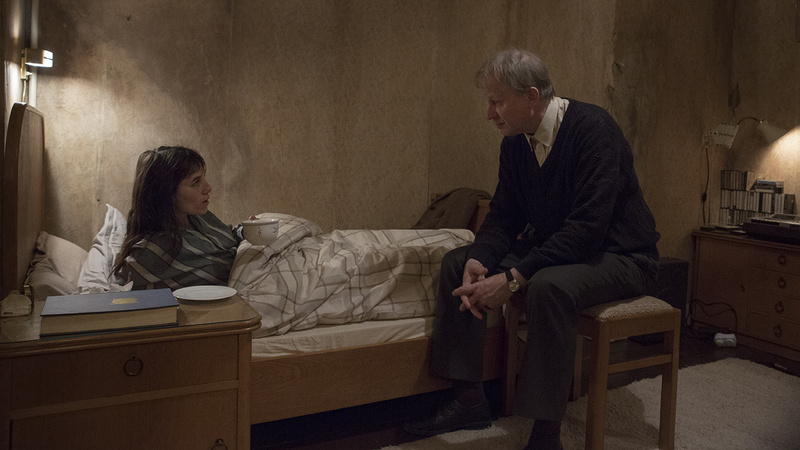 Seligman’s (Stellan Skarsgard) objective take on Joe’s (Charlotte Gainsbourg) life made me to look at the explicit scenes of the film in much the same way. Although I can’t deny that some of the scenes are tantalizing (train scene anyone? ), Sleigman’s commentary constantly pulls the viewer out of a purely voyeuristic mindset. And the final fifteen minutes of the film Von Trier pulls the viewer through a rollercoaster of emotion that was a simultaneously disappointing and flawless conclusion. What can I say about Selma? When I initially made my list it wasn’t included but once I saw it, the film skyrocketed to the top spot. It’s masterful. You’ve heard all of the controversy over historical accuracy so I won’t repeat it, I’ll just refer you to DuVernay’s interview with Terry Gross on Fresh Air. I will say that you don’t have to deliver the exact words/events of history (did this person say these exact words to this person at this exact time) to convey truth. 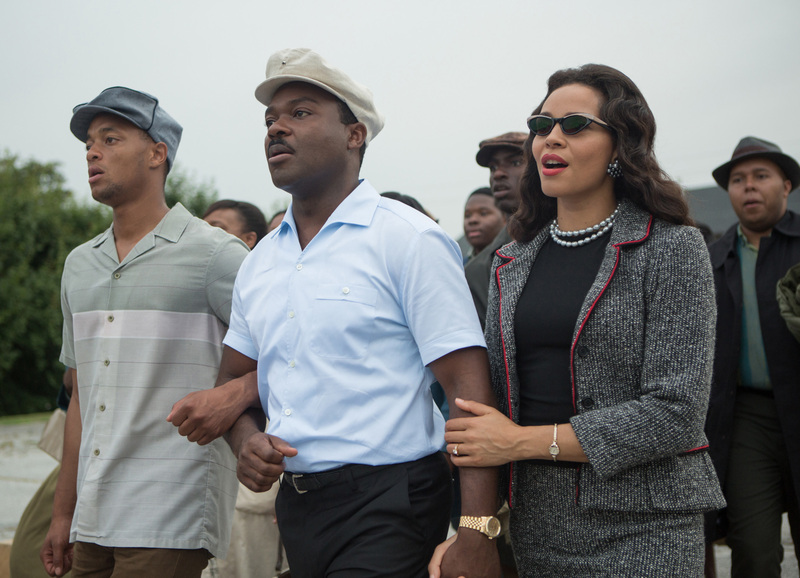 Selma is a harrowing portrait of people and of a moment in history. DuVernay’s focus on the people and the moment is clear in the film. The audience learns to love and see the players as more than just historical portraits. It’s beautiful, touching, and important. ← Can You Smell What Hercules Is Cooking?